In 1979, Mad Max, an independent film made for $200,000 by a first-time director, grossed over $100 million and roared into cinema history. It was co-written and directed by George Miller and shot by David Eggby, ACS. Thirty-six years later, Miller decided to reboot the story with Mad Max: Fury Road, this time teaming with John Seale, ASC, ACS. 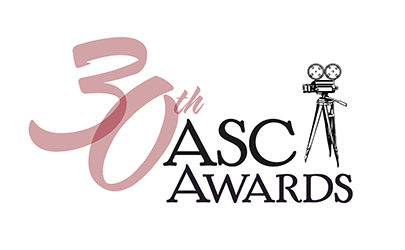 Seale received his fifth ASC Award nomination for his work on the picture; he won for The English Patient and was also nominated for Rain Man, The Perfect Storm and Cold Mountain. Principal location photography comprised five months in Namibia during the southern hemisphere’s 2012 winter. After a hiatus, the opening and final sequences were shot in Australia in 2013. “Namibia provided a great variety of desert landscapes and certainly filled George's requirements not to see a single bit of green,” said Seale. The film features hair-raising vehicular stunts, which were performed practically, without the aid of CG, at speeds of over 50 mph. All 10 Alexas and more than a dozen crash cams were used when the scope of the action and stunt work required a combination of the show's main and action units. The result was a huge convoy of crew — approximately 1,500 sat down for lunch on at least one of the “10-camera” days — with dozens of picture and support vehicles kicking up dust as they drove up to 5 miles through the desert for a single take, and then turned around to reset. Excerpted from the June 2015 issue. Original reporting by Simon Gray.